Comment: rental property that needs gutters.~ 850 sq foot house. Comment: I need to move an existing 3x4 and extended from a second floor to the ground. Also half way it will connect to a half way to a y connector (i already have the connector 2x3 to a 3x4) and then continue down. Comment: Saw today at 7:30pm downspout had disconnected from guttering and fallen Next to back bedroom. Comment: About 60 feet if gutter with 2 downspouts. May need facia repair on some corners. Wichita Gutter Cleaning & Repair Services are rated 4.73 out of 5 based on 388 reviews of 18 pros. 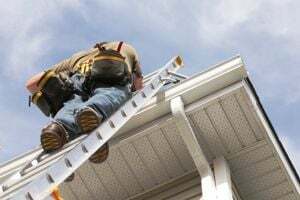 Not Looking for Gutters Contractors in Wichita, KS?